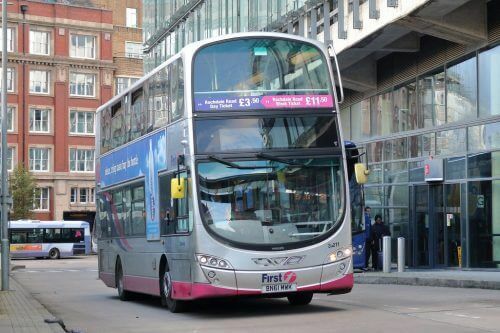 FirstGroup is in the process of selling off its Manchester bus operations, The Telegraph has reported. Once delivering £100m in annual turnover, the report claims that the division is now worth as little as £20m, citing industry sources. Although Manchester is FirstGroup’s fourth-largest regional bus network in terms of revenue, it has failed to deliver when it comes to operating profits. According to Passenger Transport, in 2012/13 it generated £3,5m in operating profit from a £101m turnover. However, by 2017/18 revenues had slumped to £86m, and the company made a loss of £5.8m. These figures now make it First’s worst-performing UK bus division. As a result of its poor financial performance, it’s alleged that hundreds of vehicles from the Bury, Oldham and Bolton depots will be sold to a number of rival operators.